(BGF) – The Boston Global Forum is pleased to announce that the next installment of the BGF Leader Series will be taken place at 9:00 AM (EST) on Friday, October 3, 2014 and will be delivered by the former President of Latvia, Madam Vaira Vike-Freiberga. Dr. Vaira Vike-Freiberga, former President of Latvia will deliver her speech on building a Framework for Peace and Security in the Pacific, a focus of the Boston Global Forum in 2014 which has attracted attention and interest by several scholar, policymakers, business leaders. Please attend at bostonglobalforum.org and send your questions to Office@BostonGlobalForum.org. Llewellyn King – Member of Editorial Board, Boston Global Forum; executive producer and host of “White House Chronicle,” a PBS’s weekly news and public affairs program. 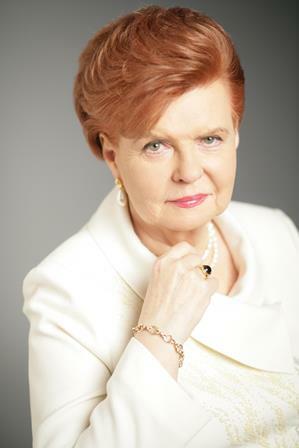 Dr. Vaira Vike-Freiberga is President of the Club of Madrid and former President of Latvia (1999-2007). She was instrumental in achieving membership in the European Union and NATO for her country, and was Special Envoy on UN reform among her international activities. Since 2007, she is an oft invited speaker on social issues, moral values, and democracy. She was Vice-chair of the Reflection group on the long term future of Europe, and chaired the High-level group on freedom and pluralism of media in the EU. Having left Latvia as a child refugee to Germany in 1945, then French Morocco and Canada, she earned a Ph.D. in psychology (1965) at McGill University. After a distinguished career as Professor at the University of Montreal, she returned to her native country in 1998 to head the Latvian Institute.A year later she was elected President by the Latvian Parliament and re-elected in 2003. She is member of four Academies, and Board member or patron of 30 international organizations, including the Board of Thinkers of the Boston Global Forum. She has received many highest Orders of Merit, as well as medals and awards, for distinguished work in the humanities and social sciences. She has published 14 books and authored over 200 articles, book chapters, reports, and audiovisual materials.